Reunitie Harmon walks down a quiet 24th Street in Park West. Harmon’s casual appearance is consistent with the quiet confidence she projects. Reunitie grew up in the same neighborhood where she still lives. She says she had a “very nice” childhood, but that the neighborhood has changed since then — the crime and poverty are more pronounced. Harmon attended Trowbridge Street Elementary in Bay View and eventually graduated from North Division High School. Because of her experience, Harmon has sent her five children to schools outside of MPS and her 16-year-old has “never been in public school,” a choice she says she’s quite content with. She makes sure to keep her kids involved in positive activities outside of school, too. A single parent, Reunitie was also raised by a single mother — her father was in the Army until she was about 20 years old. It was, perhaps, that lifestyle of an “army brat” that taught Harmon about adjusting to her environment, a lesson that has stayed with her, and served her well — from being an aunt and caring for children at 9, to becoming a mother at 19 and, now, taking care of her 61-year-old mother who has Parkinson’s and Diabetes and her youngest son, who is on the autism spectrum. 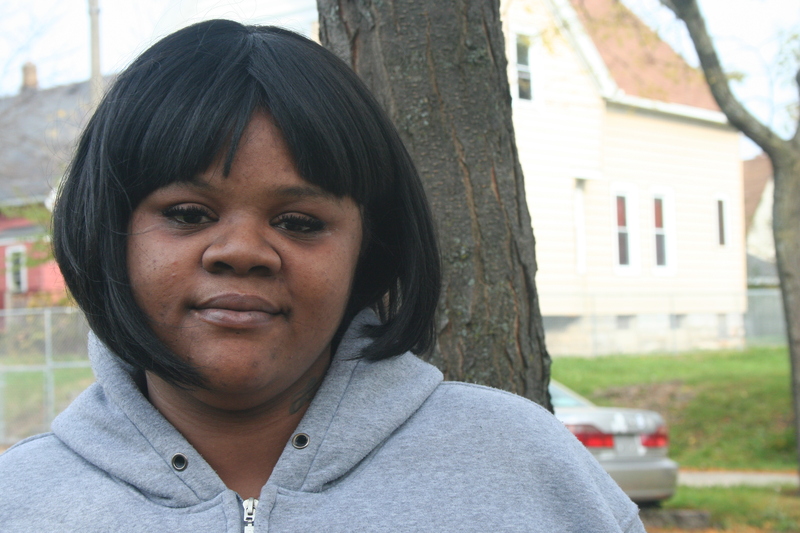 Within the last five years, Harmon has also lost her brother and a nephew to shootings in the neighborhood. Harmon has cared for others her whole life. She says she doesn’t mind — she’s used to it — and somebody has to. Somehow, the responsibility has always fallen to her. But it’s also been what she has had a passion for since she was young. But that instinct to assist others has also caused Reunitie, who just turned 35, to make her share of sacrifices, and put off her own dreams. She even stopped going to school so she could take care of her mom. Recently, though, everything has started to come together. Harmon is a year away from becoming a Registered Nurse. And, while, in the near future, she hopes to leave the only neighborhood she’s ever called home — Harmon plans to buy a house and move her family elsewhere — she acknowledges that it helped to make her the person she is today.